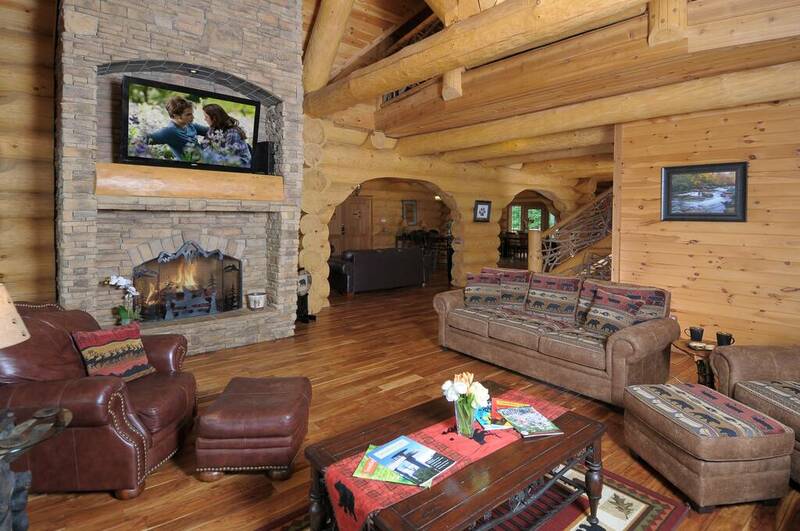 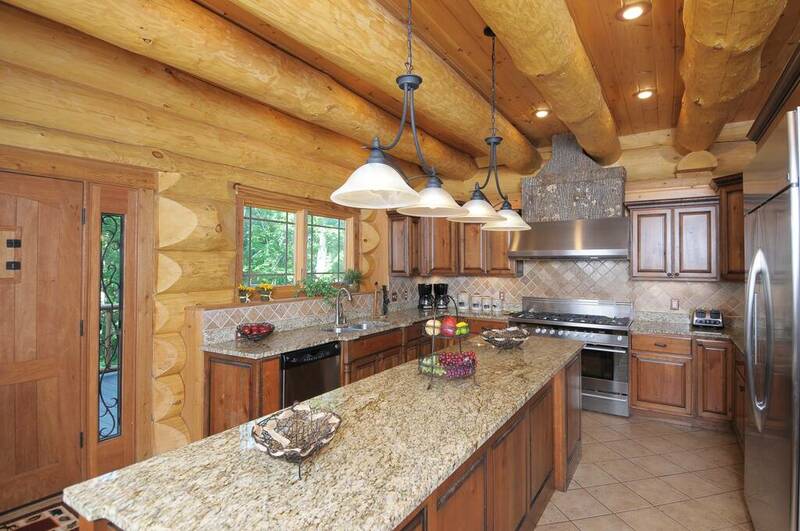 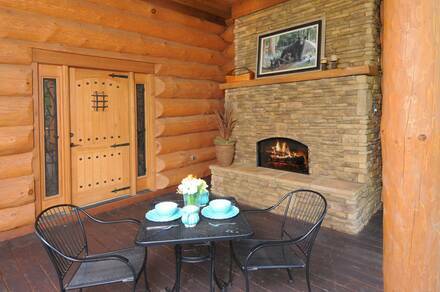 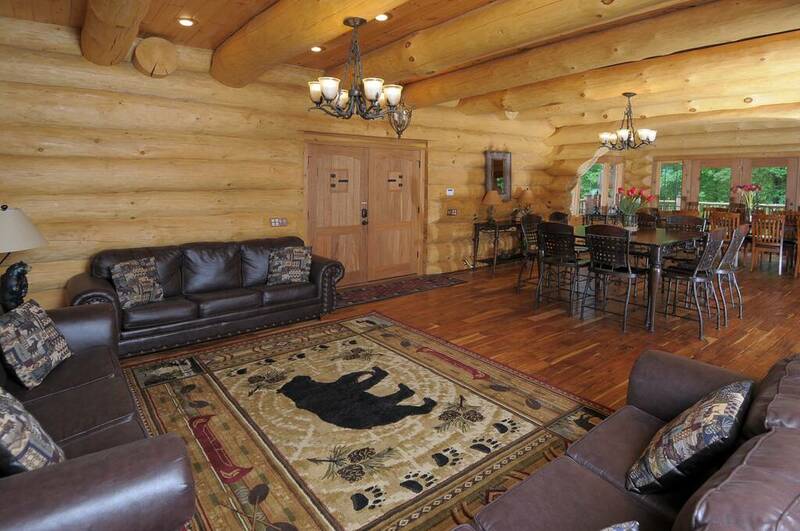 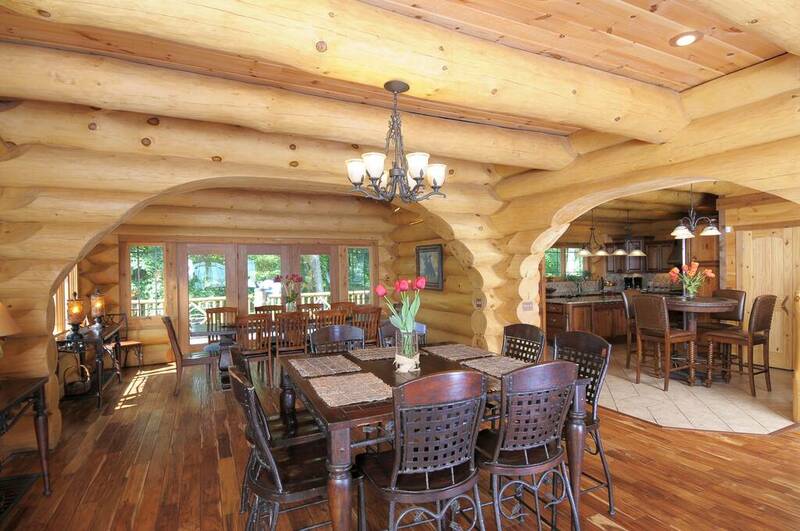 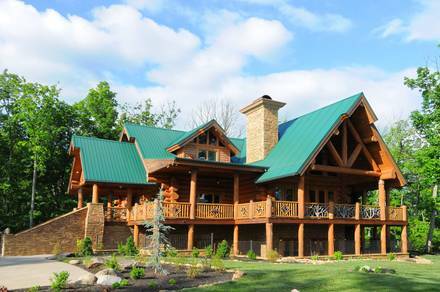 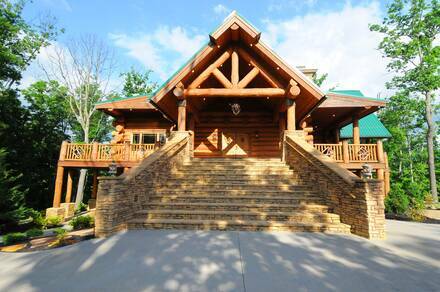 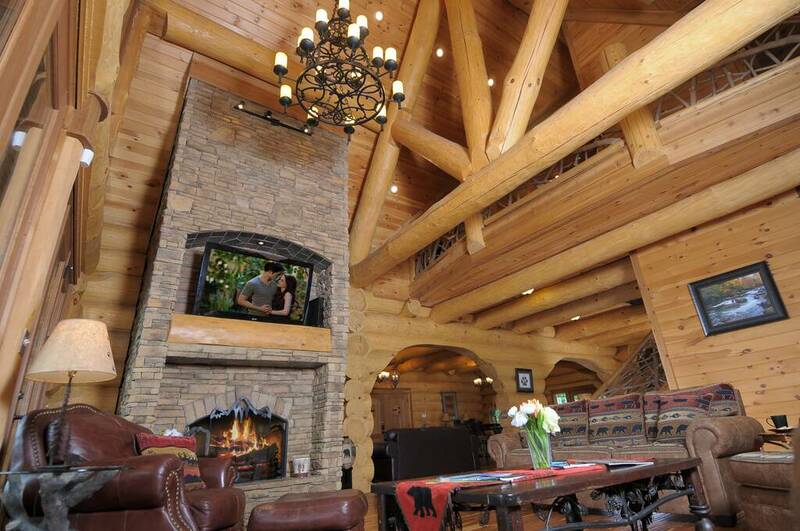 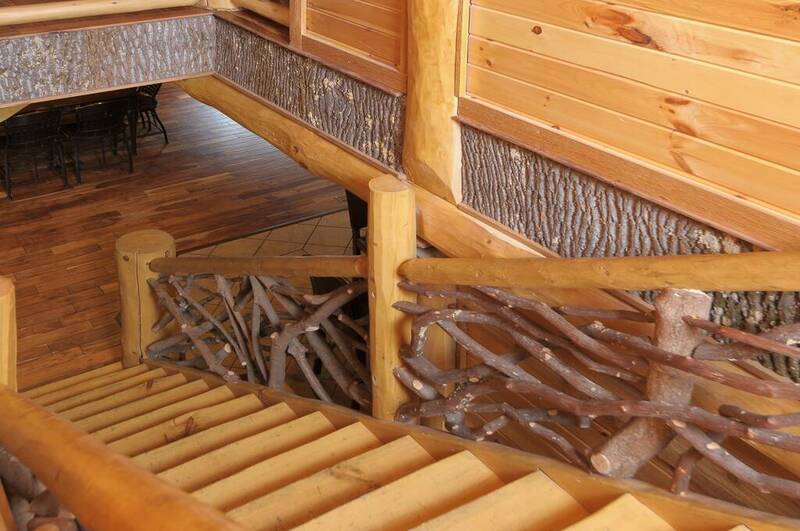 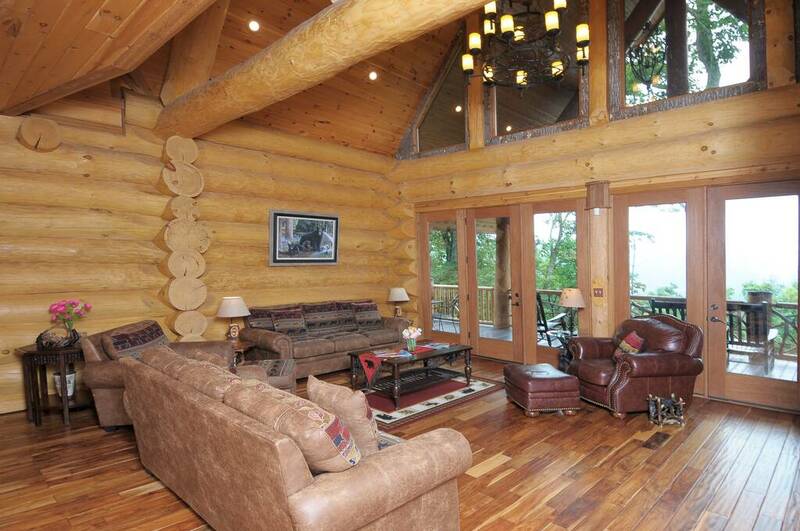 Wilderness Lodge is an 8 bedroom, 9 1/2 bath, luxury log cabin that sleeps 30 people. 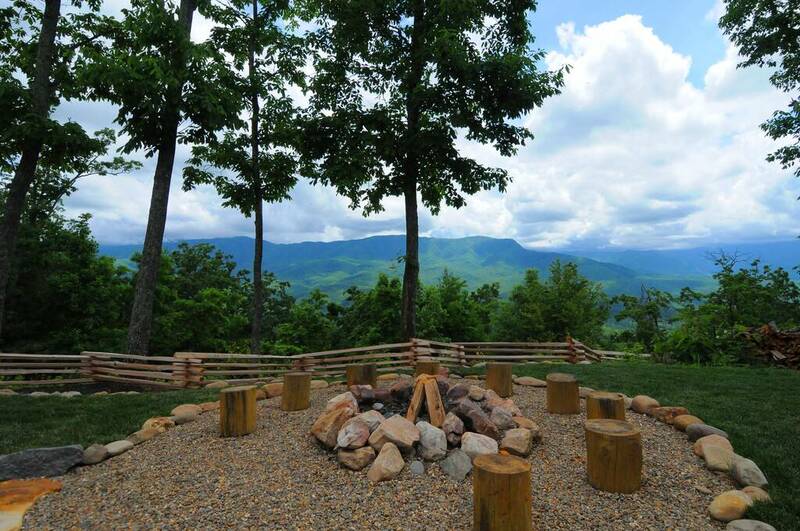 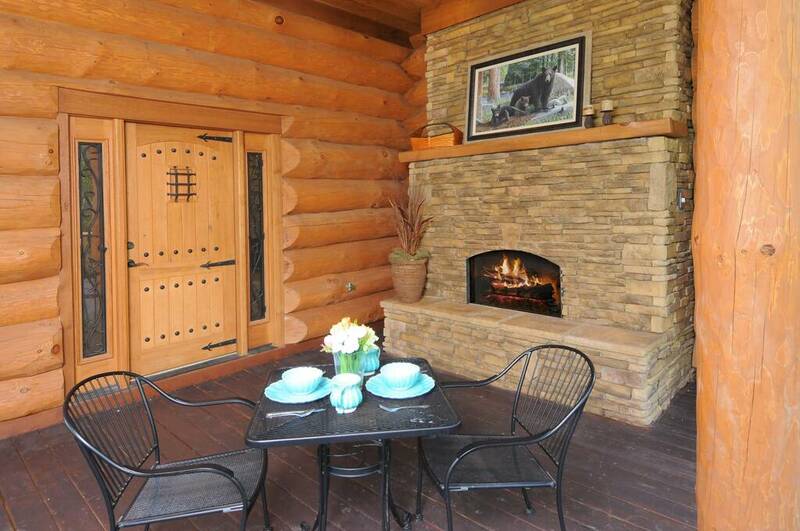 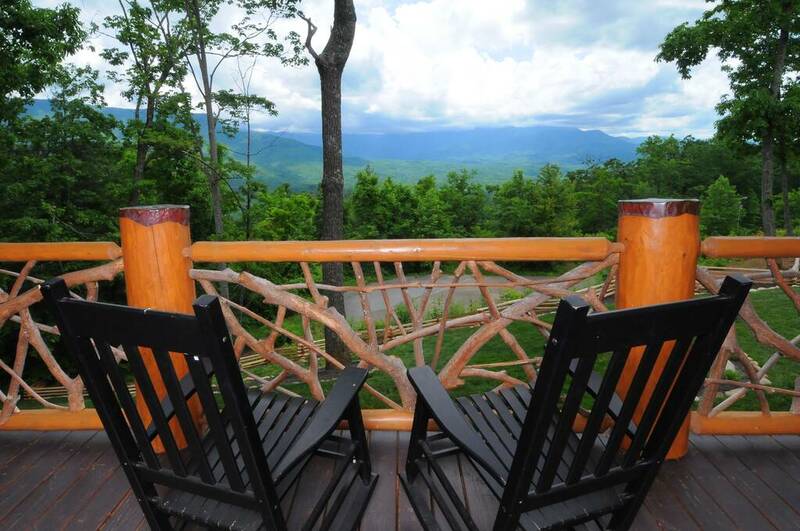 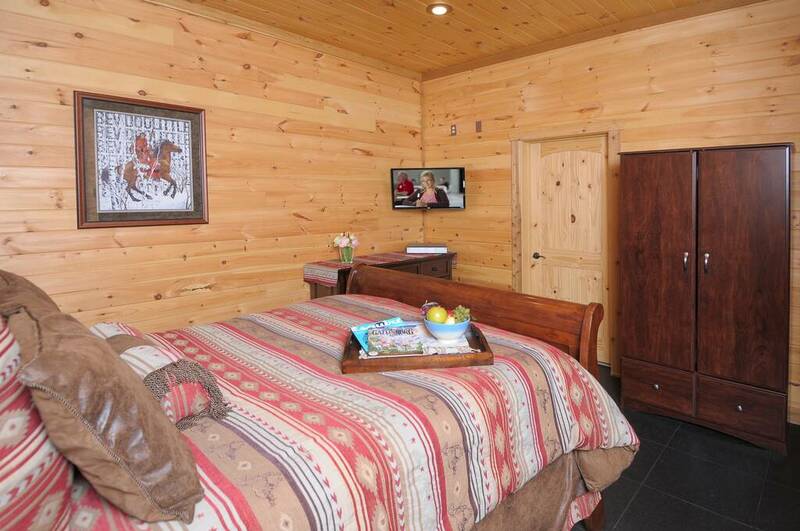 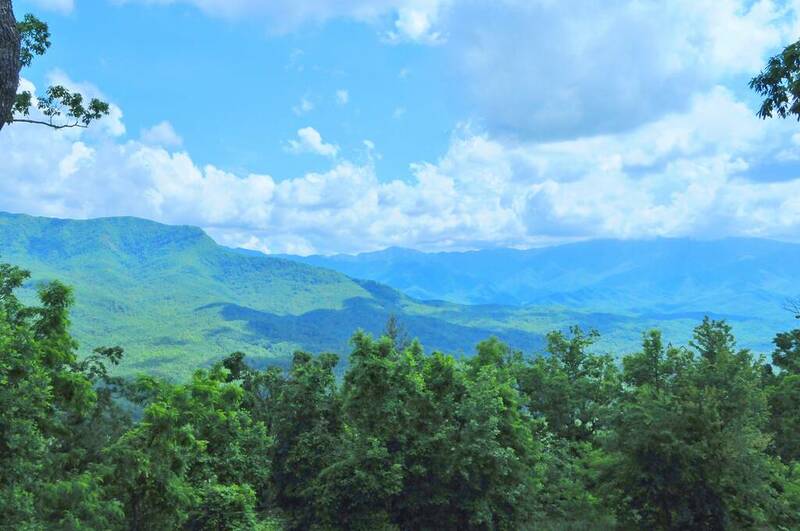 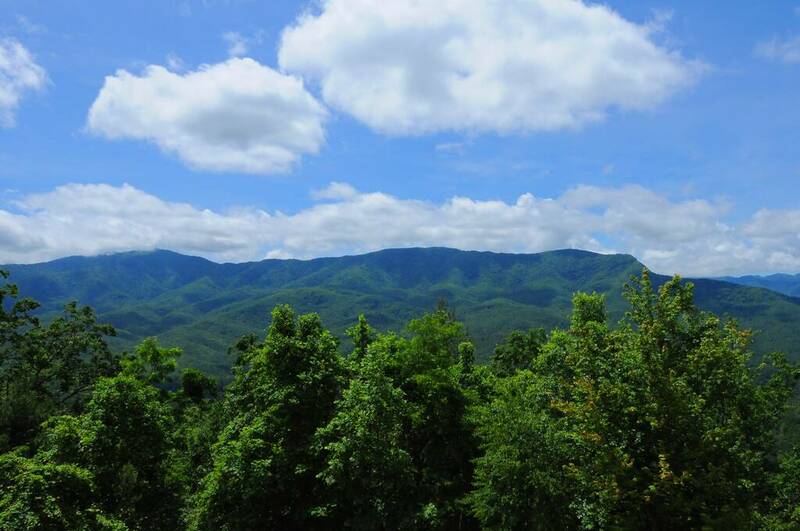 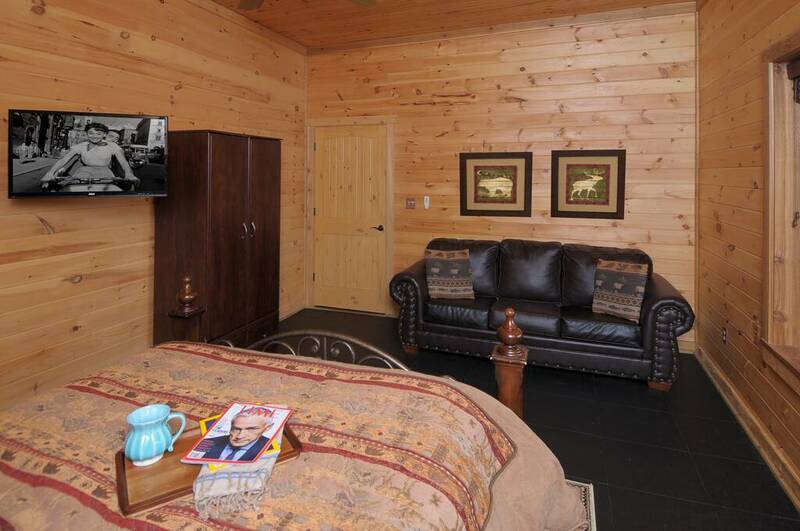 This log cabin is located just minutes from Downtown Gatlinburg, Pigeon Forge, and The Great Smoky Mountains National Park, Dollywood, Ripley’s Aquarium, and several other attractions all while giving you the most Amazing Mountain Views of the National Park. 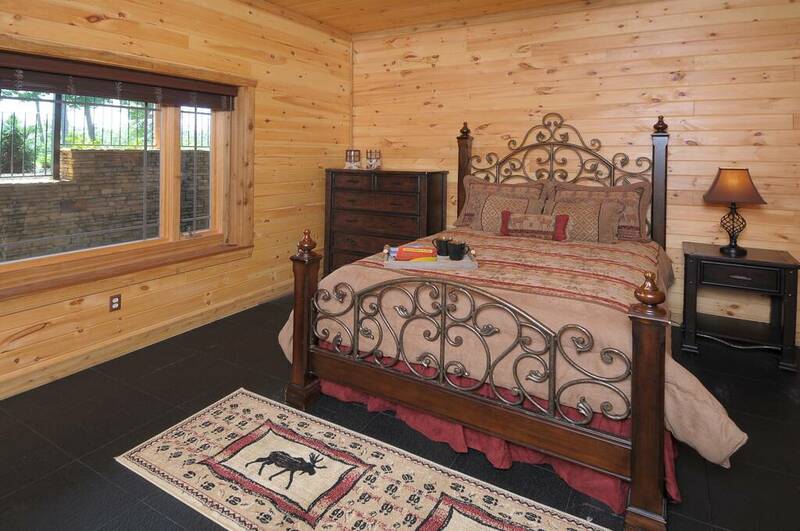 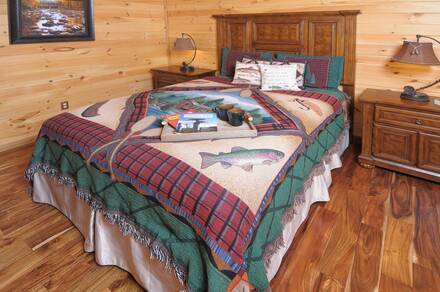 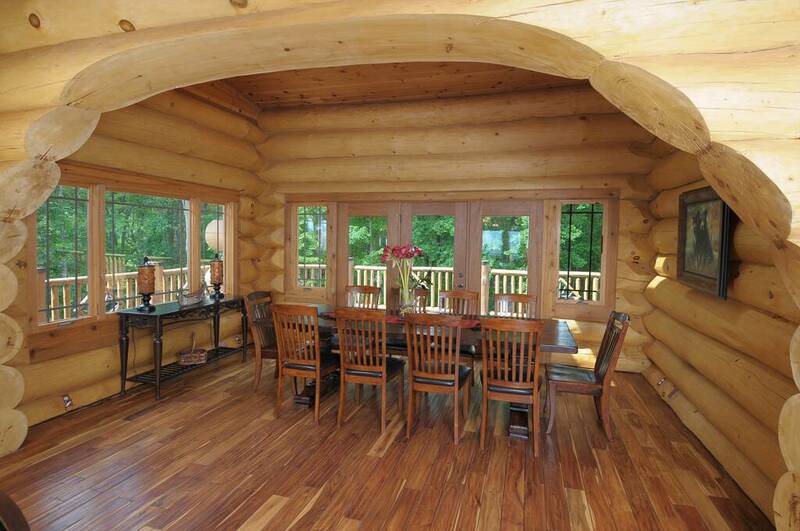 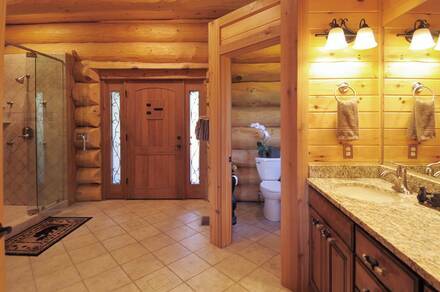 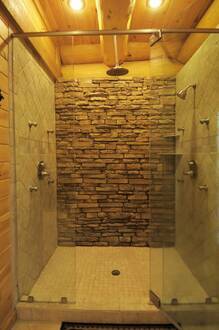 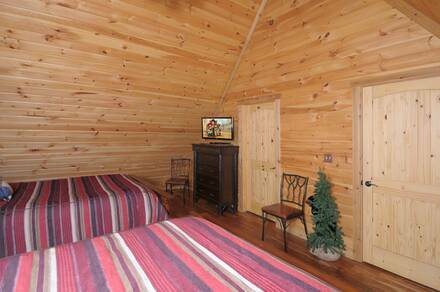 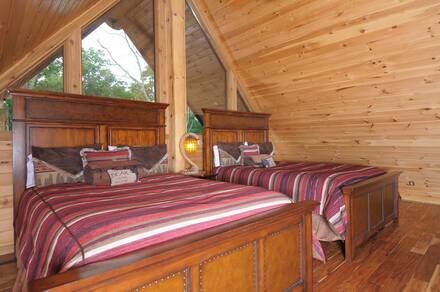 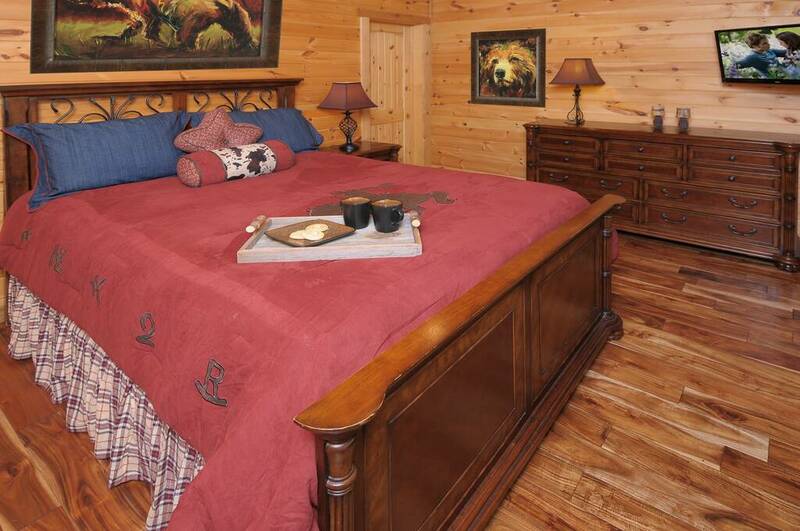 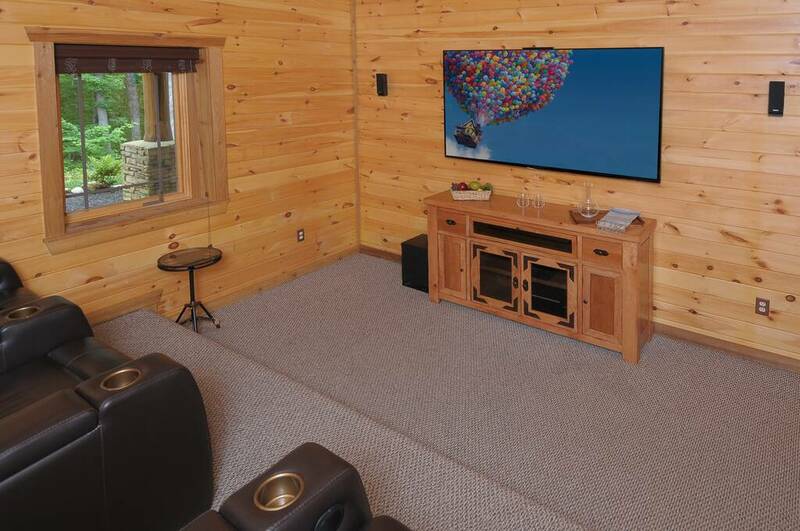 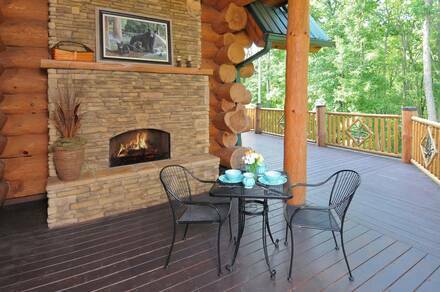 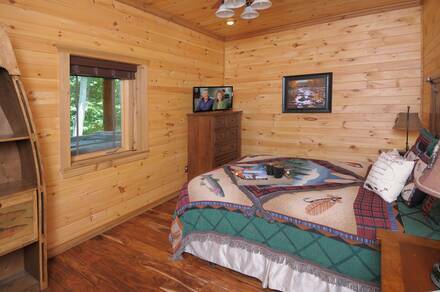 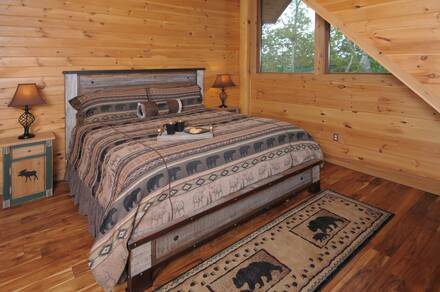 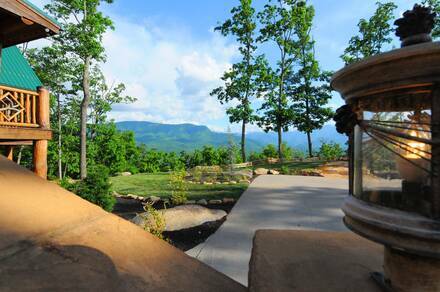 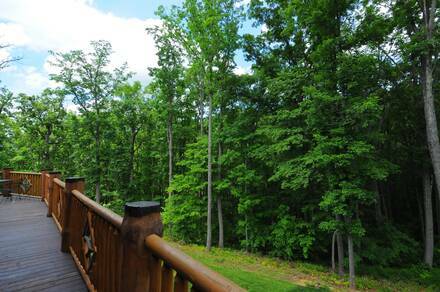 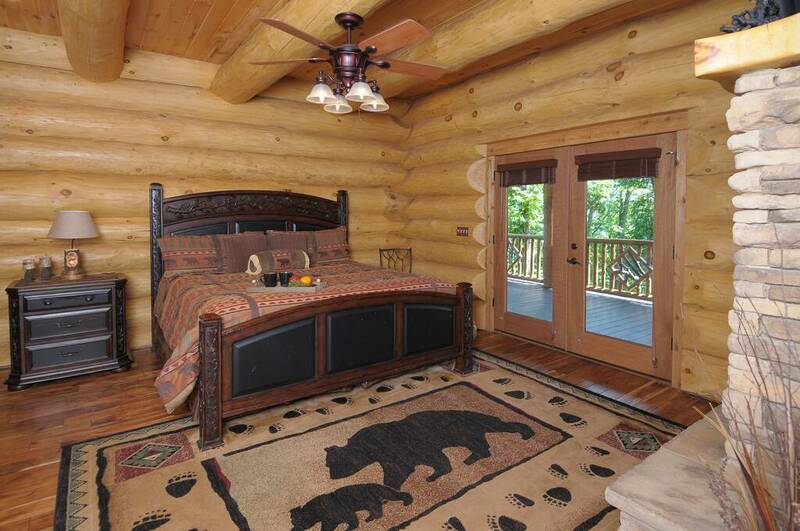 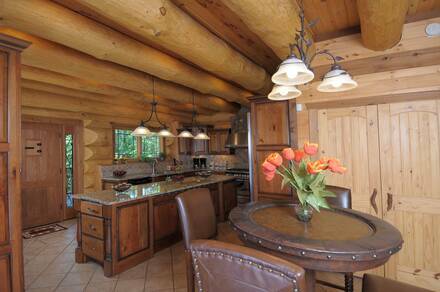 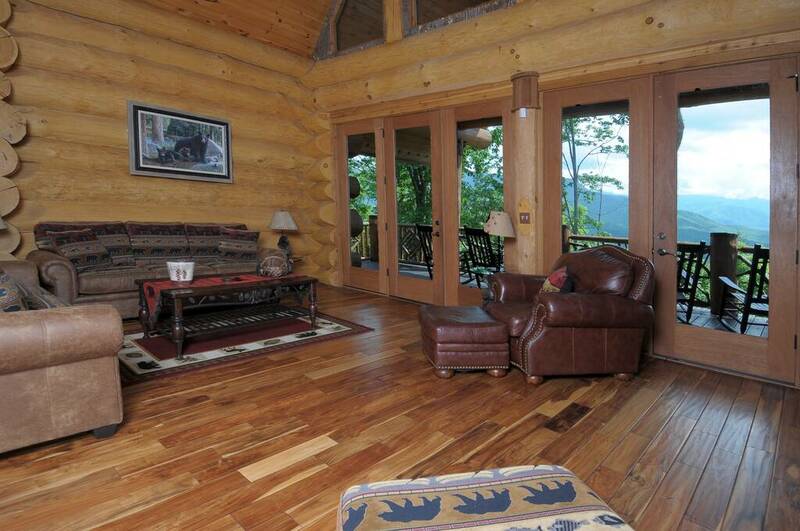 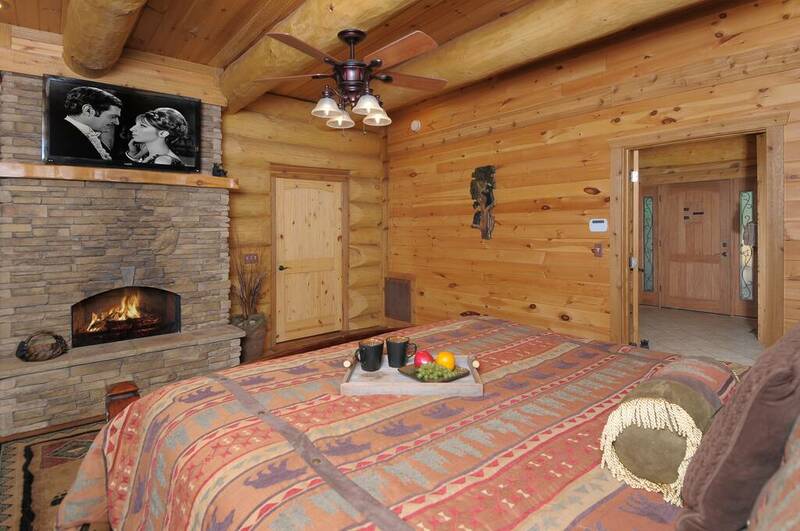 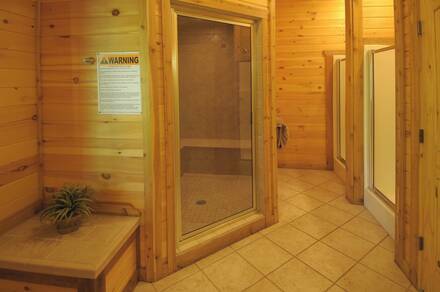 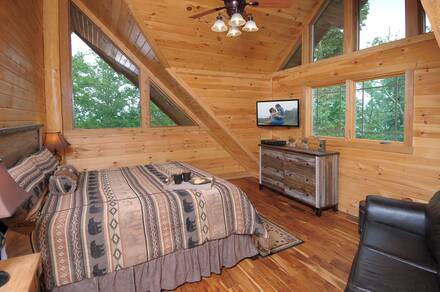 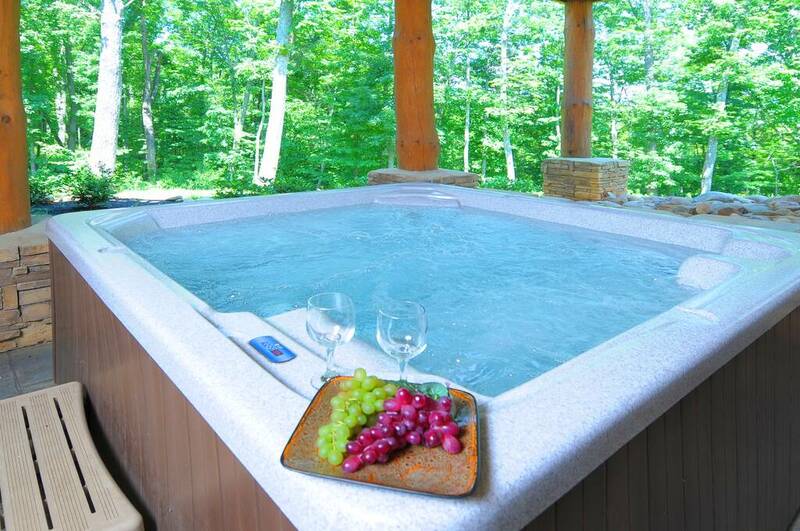 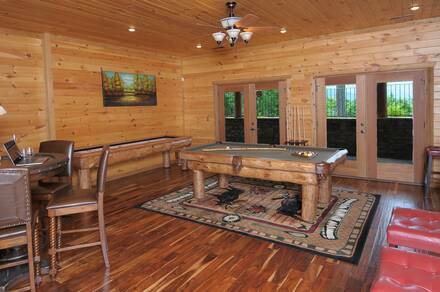 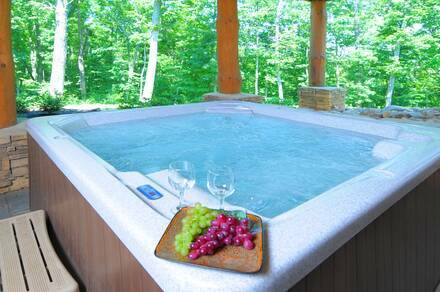 Wilderness Lodge truly sets a new standard of Luxury Cabins in Gatlinburg. 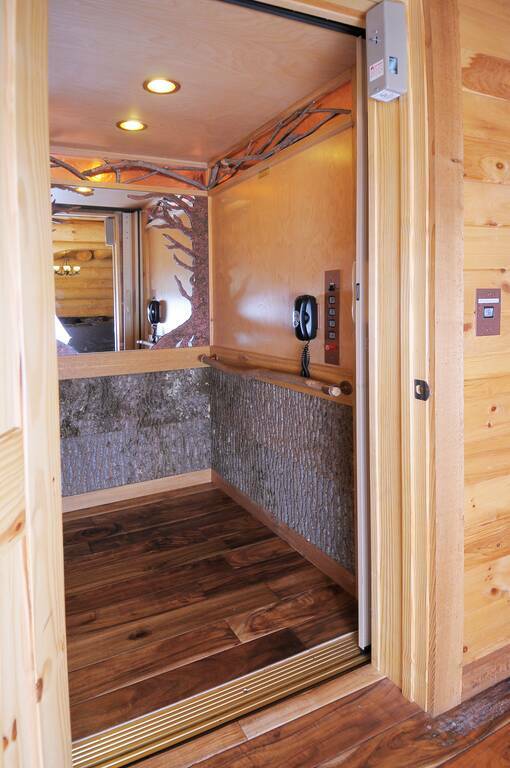 No other cabin comes close to the new standard this cabin sets. 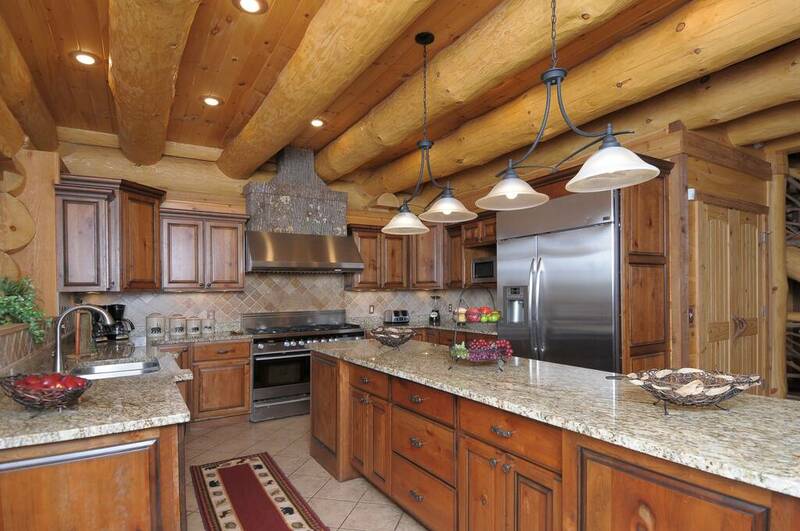 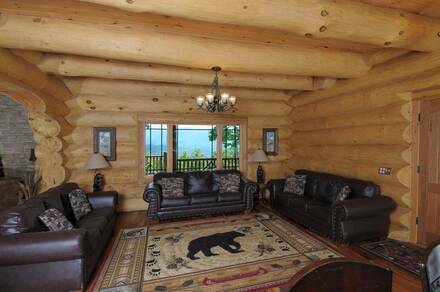 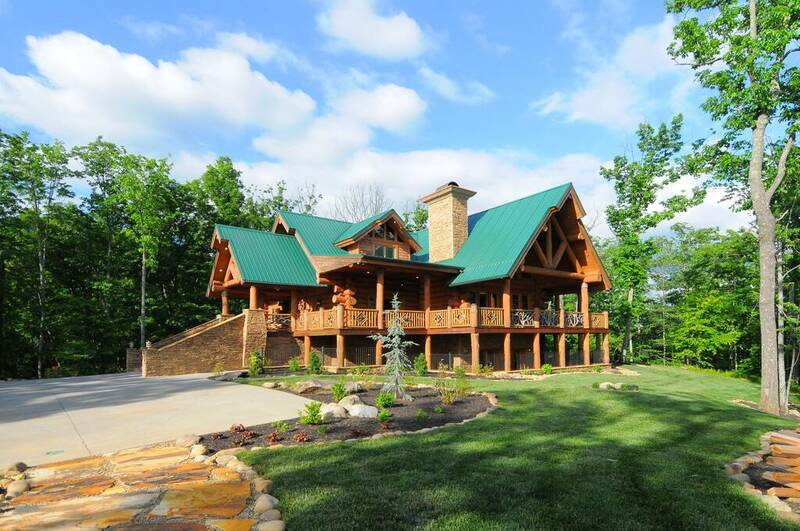 Hand Crafted Log home with Amazing Views, Theater Room, Hot Tub, Pool Table, Video Arcade Machine, Oversized Bedrooms, Multi-Headed Steam showers, 4 Gas Fireplaces including one on the Porch, 11 Flat Screen TVs. 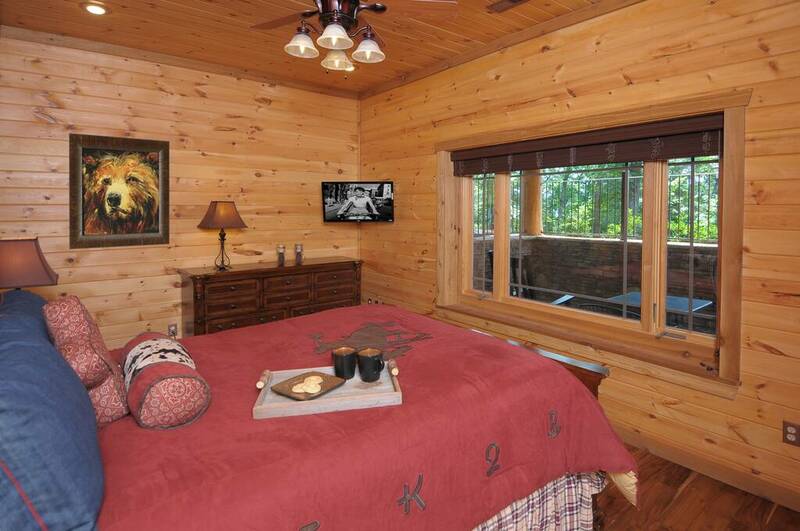 There’s not much this Gatlinburg Cabin does not offer. This Luxury Cabin while giving you direct access to Gatlinburg, yet still offers you the peace and quiet of the Smoky Mountains. COMPLETE PRIVACY that can be enjoyed by any size group. If you are trying to enjoy the National Park or Shopping Downtown this cabin is perfect for all occasions. 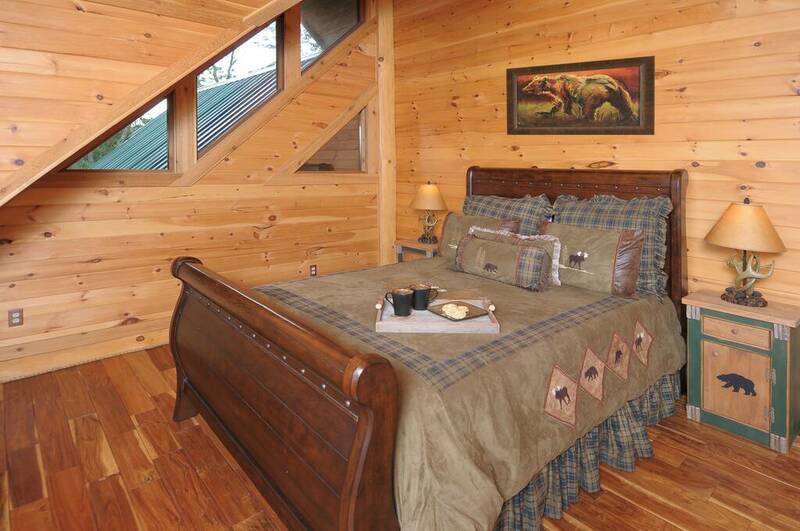 You enter the Cabin by the hand laid stone stairs that give it a grand entrance. You enter into the Main Floor with the 2 Great Rooms, Fully Furnished Kitchen, Dining Rooms, and Master Bedroom. 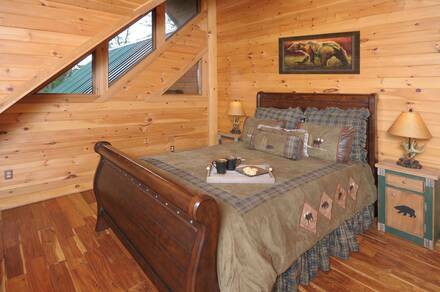 As you go up the Hand Crafted Log stair case to the top level you are treated to 3 more Bedrooms that are Elegantly Decorated. 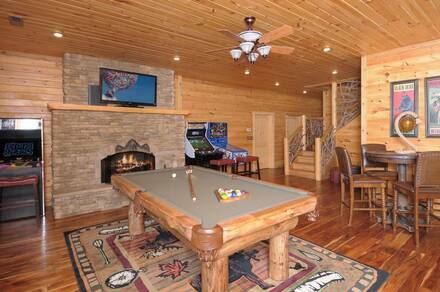 On the Lower Level you have access to a huge Game Room that has Pool Table, Shuffleboard table, Golden Tee and a Multicade Arcade game that has over 100 games for you to enjoy. 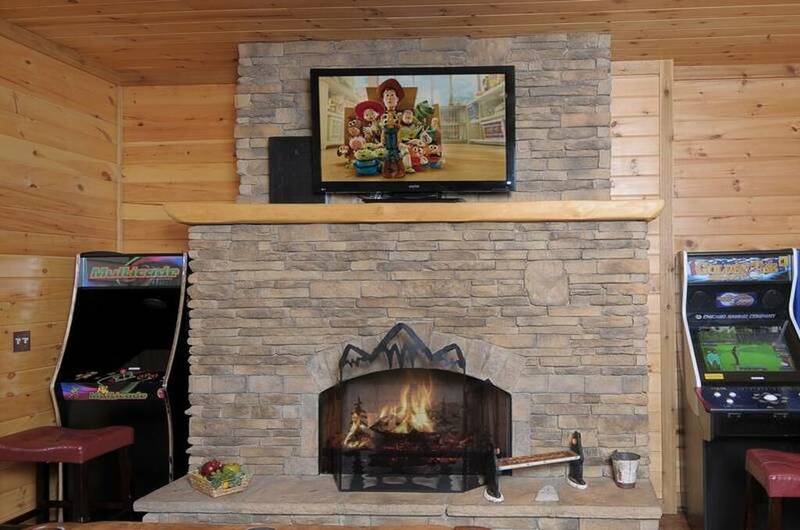 It offers a gas fireplace and a huge deck surrounding the game room. 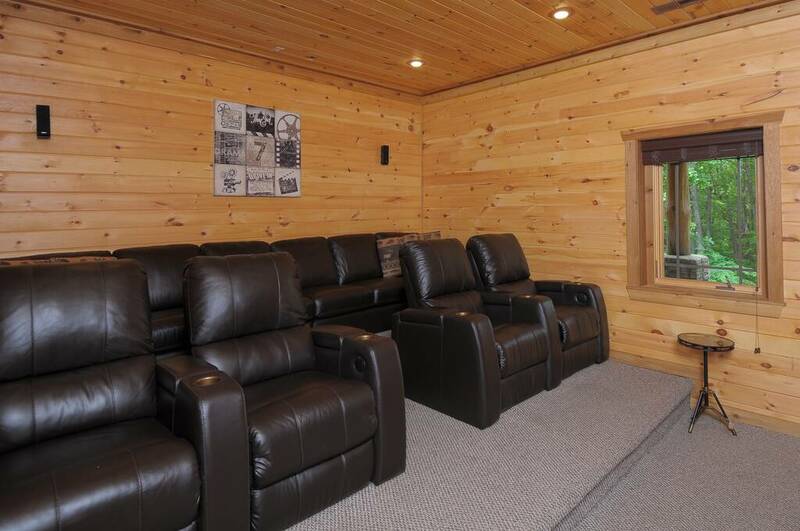 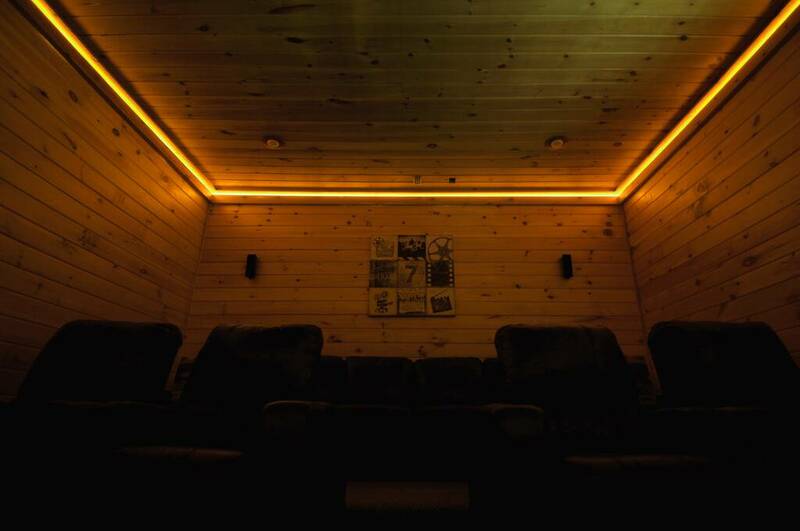 The Lower level also includes the Hot Tub with complete Privacy and the Theater Room that will blow you away!! It also features 4 more Bedrooms. 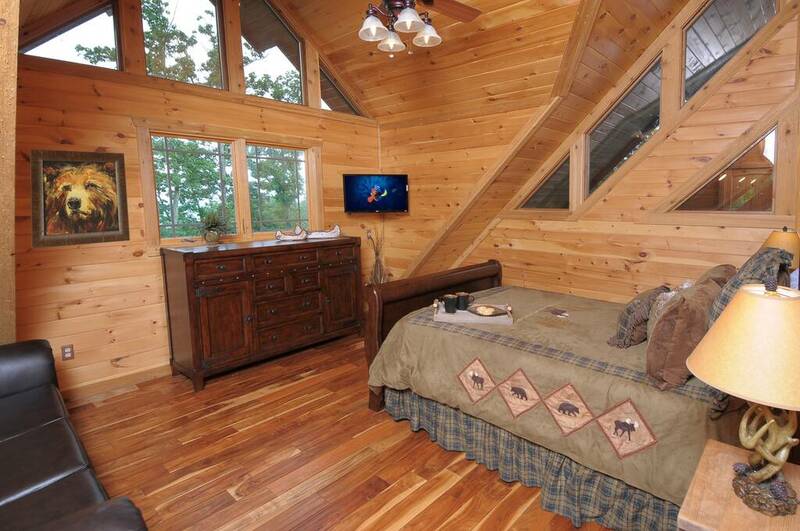 This cabin was hand crafted with every Luxury in mind. It is something that is truly special and we hope you and your family or group enjoy. This is a place that memories will truly be made and something that you remember for years. Nightly minimums vary and no specials apply.